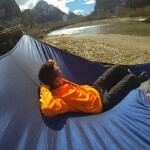 You know how is it with hammocks. No matter how you snuggle in it, you will still feel like you sleeping on your side because, you are basically wrapped tight like a banana. 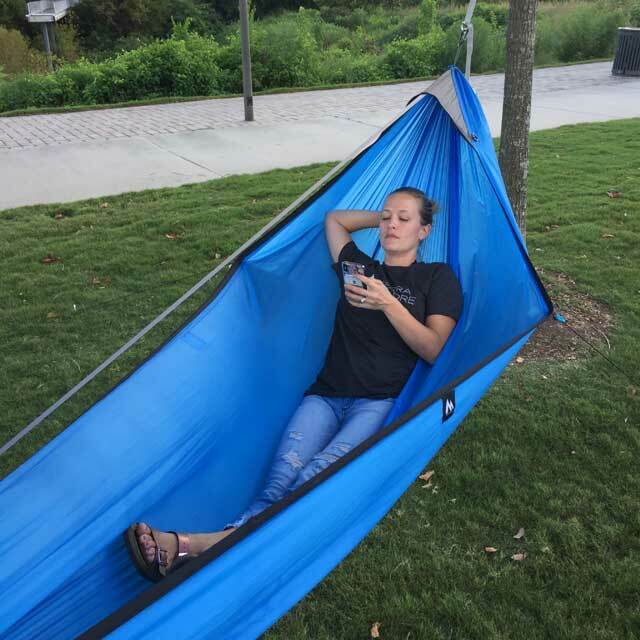 Just when we thought this is how sleeping in hammock is going to be, the folks over at Sierra Madre Research developed the flattest lay hammock ever, called Ninox. 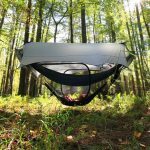 Ninox is the flatlay hammock that allows you to sleep however you choose to: on your back, side, on your stomach, or curl up like a baby, and in any direction. 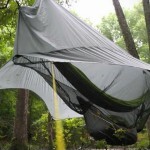 It is almost like a regular bed, suspended between trees. 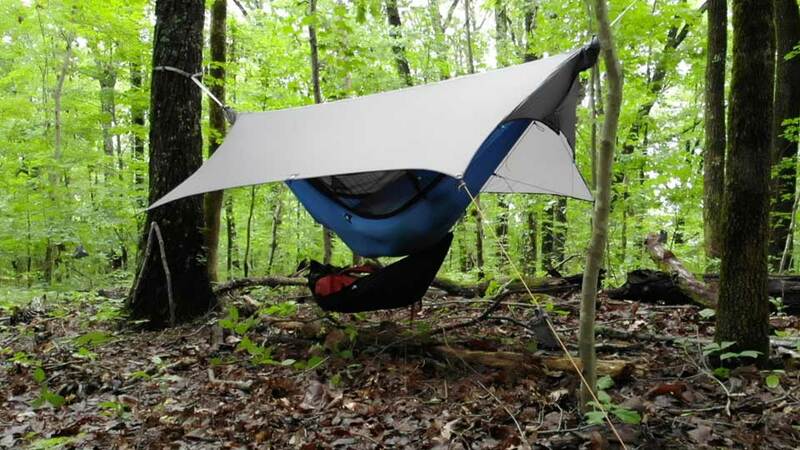 Other notables include a newly developed “crazy soft fabric” TESLON3 that is 25 percent lighter than its forebear, a completely knotless design, strong adjustable suspension, ease of setup, smart storage that rolls everything into a compact form, and it comes with a removable insect proof mesh to keep bugs from bothering your rest while suspended. In addition, if you pre-order it on Kickstarter, you will not only get it at special introductory price of $159, but you will also bag yourself a free organizer. And if you are willing, shelling $299-799, you will get the hammock itself, along with extras like Ninox Fly (basically a roof over the hammock), Ninox Gear Stash (a mini hammock for all your larger gears like backpack and whatnot), an adventure blanket, top and under quilts, et cetera. I shall leave you to explore the perks (and trust me, you want to check it out if you are an outdoor person). 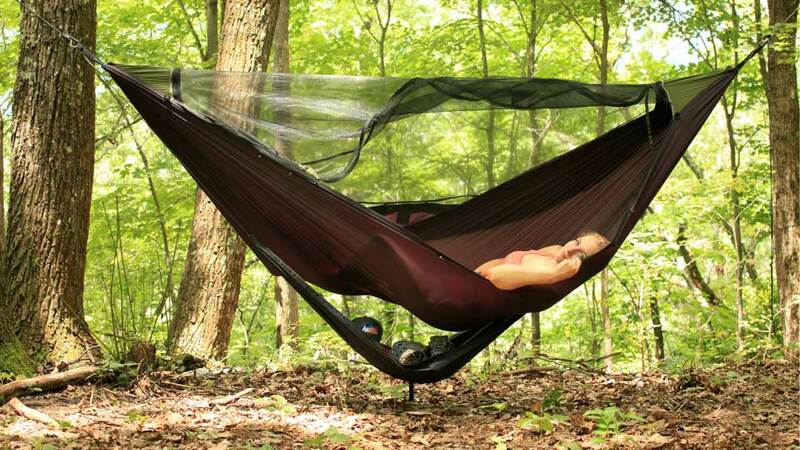 The hammock itself is going to forever change how you sleep in the wild. 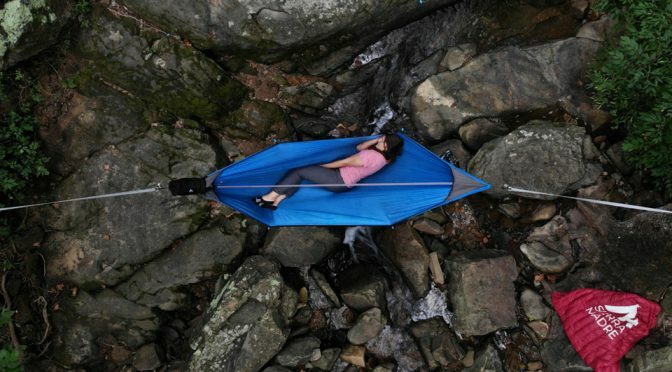 I have a feeling some may even ditch the good’ol tent permanently because of this super cool hammock. Continue reading to catch the product pitch video to pick up more details, or if you want, hit up the product’s Kickstarter page for a full rundown of the features and perks. Images courtesy of Sierra Madre Research.